Made from stained Oak, taken from a managed forest. 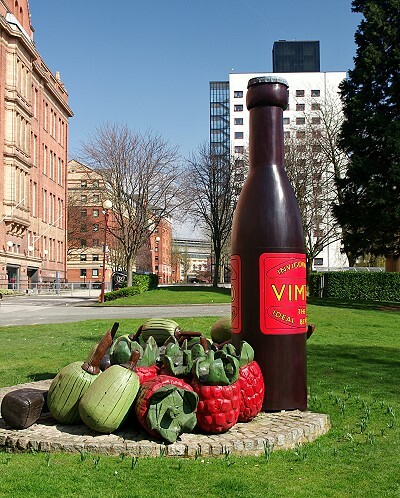 John Noel Nichols mixed his first batch of Vimto at 19 Granby Row in 1908. This sculpture on the site of the building commisioned at J.N. Nichols (Vimto) plc..